He’ll fight anyone or anything to get her back. 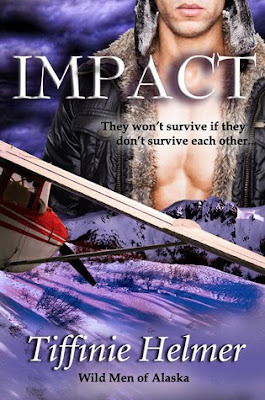 When the plane crashes, forcing them to battle a violent arctic storm, outwit predators, and dispose of a dead body, they must find a way to get past their differences if they are to survive to have a future together. That is if they don’t kill each other first. Excellent read! I loved this short story so much. Great characters, location, humor. I especially loved being in Wren's POV. She's a funny, funny girl! I couldn't ask for much more. Very pleased with this, and was very entertained as well. I'd read it again, and I can't wait to read the other books in the series. The only thing that kind of bothered me was Wren's name… I kept misreading it as When on my tiny phone, which was a pain each time :(. Damn eyes playing tricks on me! Unfortunately, that was the sole reason I didn't add IMPACT to my favorites list. But you still can't go wrong with this quick shorty and I recommend it to those who like second chance romances with a satisfying HEA. This is definitely a permanent fixture on my digital Keeper Shelf! Love it. It imparts a strong sense of adventure for me and has a yummy guy to drool over. Win. - When Skip needed help with the zipper… Was definitely a lol moment!